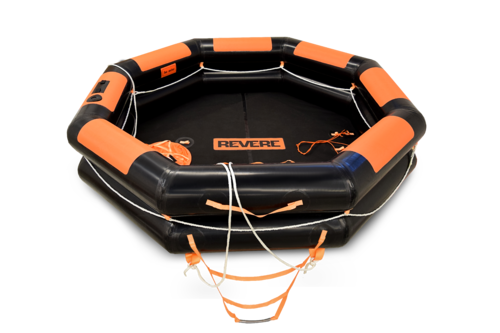 Revere Survival offers a wide range of IBA sizes. While the 4, 6, 8 and 10 person non-reversible IBA are available in a water resistant soft valise or low profile fiberglass container, the 25 and 50 person reversible IBAs are available in cylindrical containers. 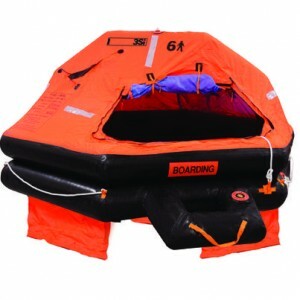 Our IBAs are constructed with double buoyancy chambers, inflatable boarding ramps, rescue light and an emergency equipment pack. Cradle assemblies for our low profile containers are constructed from light-weight aluminum and include a securing strap and hydrostatic release. Cradle assemblies for 25 and 50 person IBAs are constructed in powder coated steel and are available in standard flat inclined stowage. 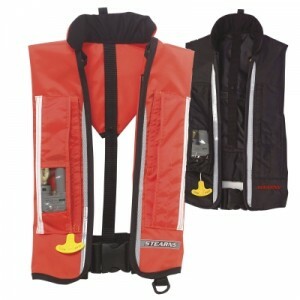 Incline cradle assemblies are available for up to three rafts and are available for special order.